There is something truly classy and mesmerising about all those neatly placed rows of shiny boards that go into garden decking. So much so that it has become the go-to choice for many households worldwide. And with a good reason – its bright, lively colours and natural appeal are bound to make your property many times more charming and inviting than the usual cold and detached stone patios. Regardless if you need a functional deck or one that fascinates the eye, the skilled and diligent specialists will bring your backyard decking ideas to life. From performing simple installation of decking lights and deck railings to establishing elaborate multi level decks, the team gives you plenty of options to change your garden landscape in a way that matches your vision. They can even adorn your decking construction with sturdy staircases and trellises, construct decking walkways and sloping garden decks and much, much more! 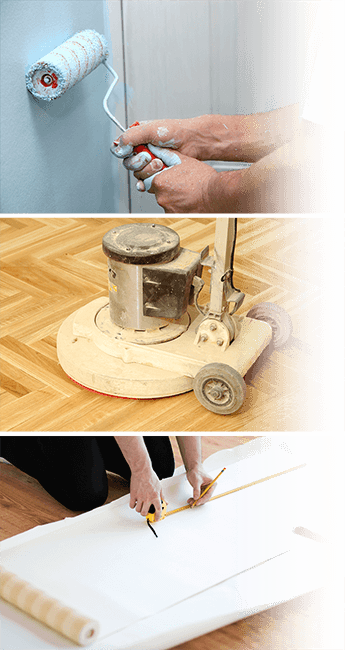 Being part of Fantastic Services, these skilled professionals have accrued years of experience in the field of home and garden renovation and will always complete your project on time, regardless of how many bells or whistles it may have. What makes outdoor decking so convenient? When laying down stone patios, the specialists are required to dig over your entire garden in search of a suitable foundation. None of this is required for your outdoor wood flooring, meaning that your garden and its fragrant inhabitants will remain completely untouched by your renovation. By using lightweight decking boards as opposed to heavy stone slabs, the precise and skilled experts will also do their job much faster – a typical deck building session may take less than a day to complete! And last, but not least – each decking material comes at a price that goes easy on your wallet. There’s more to laying decks than simply fitting wooden boards together. Before installing your, say, hardwood or non-slip decking, the team will cover the entire work area with an anti-weed membrane and a wooden base. This way, your decking will be completely protected from the deteriorating presence of weeds. Once everything is done, the knowledgeable and diligent experts will bring out their handy tools and decking screws, tiles, and ropes to make their decking and fencing magic happen. In the unlikely event of property damage caused by any of the specialists working on your project, we are more than able to provide you with a suitable compensation. For your ease of mind, each handyman carries a public liability insurance of up to £5 million. When assembling your plastic or composite decking, the tidy and polite professionals will closely follow the deck construction plans without causing unnecessary distractions. When all work is done, you will enjoy a fresh-smelling, stylish decking that won’t be covered by a sea of sawdust.